Inspired by both the idea of database narrative/documentary and Raymond Queneau’s Exercises in Style, ninex3 is an interactive instillation piece that attempts to actively engage viewers in the process of creating and realizing the endless potentiality of individual stories as they are changed and rearranged over time. 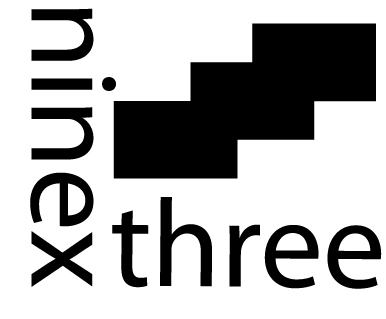 Using predetermined audio and video content, ninex3 will alters and rearrange clips to create a “story” that at times will be linear, at others it follows a more non-linear structure. Multiple “stories” will be played at the same time, creating a sense of how the same content can sometimes tell very different stories in our minds. Benjamin Moss is a teacher and media artist who works primarily in video. His works have been deeply influenced by artists and filmmakers such as Jay Rosenblatt, Alan Berliner, Su Friedrich and Janice Tanaka. Conceptually, his works have been influenced by database cinema, interactive documentary as well as Oulipo. He holds a BA in philosophy from Trinity College, Connecticut and has done previous graduate work in religion at Yale University, Connecticut and in media studies at The New School University, New York. He is currently an MFA student in the Integrated Media Arts program at Hunter College, New York.